Designed by Wilfrid A. Reid, the Brae Burn golf course opened in 1923. 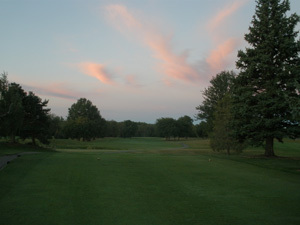 The 18-hole course in Plymouth, Michigan, features 6,511 yards of golf from the longest tees for a par of 70 . The signature 13th hole, “The Monster” tops out at 666 yards and is the longest par 5 in the state of Michigan. The course rating is 69.2 and it has a slope rating of 123 on bluegrass. Prepare yourself for an unparalleled golfing experience. All in all, our goal is to provide you with a quality experience that includes exceptional service and a comfortable atmosphere.